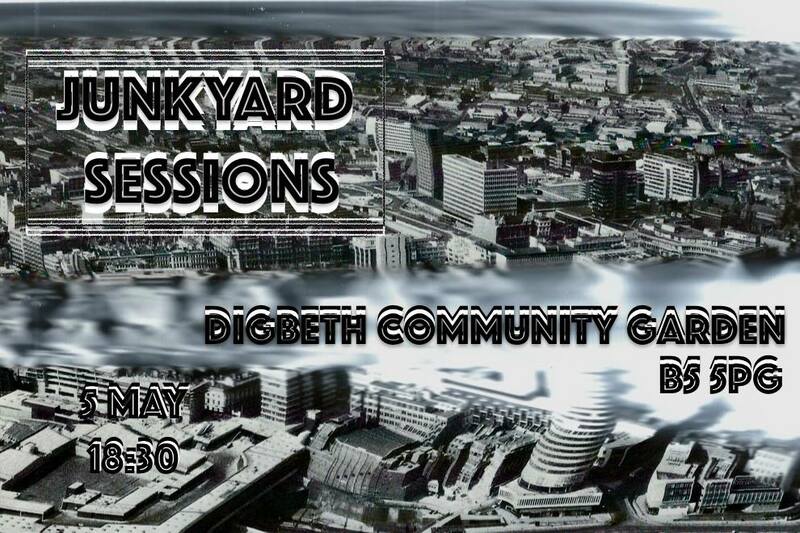 Digbeth Community Garden & Naked Lungs present an evening of music. Culture Dub Orchestra condensed down to form ‘The Quartet’ and take a new look at World Roots Dub. Like the full outfit, The Quartet takes its influences from all parts of the globe. With dub firmly at the core, CDO explores a range of cultures, religions, backgrounds and musical styles. The Quartet replaces heavy roots drum/bass with a running tabla/bass section. Guitar and violin deliver a euphoric soundscape of textures and delays breaking into jazz styled solos, all coming together to take your mind on a spiritual nomadic journey. Funny man, guitar torturer and our mate Tim is one of those guys who hits an acoustic guitar in a percussive fashion whilst simultaneously doing complicated things with the fingers of the other hand. As it happens, he’s written some cracking songs and all. Look forward to such Cradley classics as ‘Blackpool ’89’ and ‘Housebound’. Cavernous, yearning guitar loops, and a wicked croon to boot. Like listening to mexican folk music whilst drowning. We have a small bar in the garden but FEEL FREE TO BRING YOUR OWN DRINKS. Please be a pleasant human and use the bins though.